Research shows that based on the type of work done, multi-monitors can provide the basis for increasing productivity by as much as 50 percent. Multi-monitor, also sometimes referred to as multi-display or multi-head, refers to the use of multiple physical display devices for the purpose of increasing the area available for computer programs that operate on a single computer system. With RHUB Web Conferencing Servers, you gain the ability to support your customers who possess multiple monitors. Consequently, you gain the ability to navigate between monitors while in a session. In addition to helping you make a better impression, multiple monitors also help you to be more productive, provided that you know how to use them effectively. Read on for tips on how to put multiple monitors to work for you. With RHUB, a presenter with multiple monitors can opt to display a specific monitor or choose to show the entire desktop, which is comprised of more than one monitor. In TurboMeeting, an individual who is providing Remote Support to a computer with multiple monitors is provided with the option to display the entire desktop or display individual monitors. For many of us, the use of multiple monitors has become so commonplace that we would find it difficult to give them up. If you have become accustomed to using multiple monitors, you may well have found that they help you to be more productive. According to published studies, using a dual monitor in the workplace can increase productivity by as much as 50 percent. For instance, if you work as a computer programmer, you may find that the ability to display source code on one monitor and your program on the other monitor would be beneficial. In true multi-tasking, you need a sufficient amount of screen space to maintain two or more apps in full view at the same time. The ability to keep multiple apps completely open at the same time is a feature that you are certain to appreciate. Web designers and customer service reps are just two examples of professionals who would be able to benefit from dual monitors. Cutting and pasting between documents can also be accomplished much easier when you do not need to alt-tab between the documents and scroll between them. This feature can be particularly beneficial for creating PowerPoint presentations and newsletters. Video and picture editing can also prove to be much more effective with the use of dual monitors. You gain the ability to have all of your necessary editing tools in view on one screen while you actually work on the project on the other screen. With this option, you can compare before as well as after views of your project to allow for better results. You will also find it is much easier to compare products with dual monitors. For instance, you can opt to display the specs for two video cameras in a side-by-side manner in separate browser windows. Dual monitors also provide a much better experience for video and gaming. With this option, you gain increased visibility as well as the opportunity to stream video on one screen while working on another screen. New multi-monitor features are also available through Windows 8, including the ability to utilize various backgrounds on each individual monitor, use multiple taskbars, and have your background image span multiple screens. RHUB's CEO Larry Dorie highlights the advantages of on-premise collaboration solutions including improved security, branding and integration (with LDAP, etc.). Enterprises are often faced with the challenge of increased demand on productivity, while operating under limited resources and tight budgets. But, with so many dynamics impacting workplace productivity, like managing connectivity across decentralized work teams, or, facilitating project coordination and communications among thousands of employees, more companies are now starting to deploy on-premise collaboration solutions to ensure optimal performance and consistent workflow, and all at a reasonable cost. But some companies are starting to realize that not all collaboration solutions are made the same. That’s why it’s important to factor in some key considerations when selecting a comprehensive collaboration solution that can be used by all major departments within an enterprise. Remote access for accessing unattended computers. This mode can be used across an organization by IT reps for accessing servers and other enterprise computing resources, or, by individual employees for accessing a work computer or a home computer from home or while on the road. These requirements can be met by a collection of hosted solutions or by on-premise solutions. On-premise has the advantage of providing all technology features within one framework and keeping the user environment consistent making it easier to support. On-premise also has the advantage of security, branding and integration. Security is enhanced because the system can sit behind the enterprise firewall and control access more stringently than hosted systems that use public servers. Branding, using the company’s unique imaging and logo, can be rather extensive making the user feel as if they are using the organization’s system. Integration can be a powerful function that makes these collaboration tools much easier for the user to find and access. By integrating with LDAP or AD, the IT user authentication load is greatly reduced and the user has a consistent mechanism for accessing the system. Other environments may also enhance accessibility via integration such as: an internal home page, key applications such as softphone clients and CRM systems. In all cases the goal is to make it a one-click step for the user to initiate a session when they want to. Once you decide that on-premise is an advantage to your organization, the next decision is whether to go with a software solution or a dedicated appliance/server solution. The software solution does carry with it the added IT support of insuring compatibility every time a major component of the software stack is changed. If you plan to move to a newer OS or database, you need to insure that the collaboration software is compatible with the new OS or DB. If you change key applications on the shared server or upgrade the collaboration solution, you need to test that everything works well together. If, on the other hand, you select the dedicated appliance/server mechanism, there is virtually no IT workload beyond installation. All updates of the OS/DB and applications are managed by the vendor. In addition, this delivery approach can work very nicely with a private cloud implementation as just one of the components in the application stack. Another thing to consider with a collaboration solution is its ability to deliver multi-media and interactive features. Modern multi-media collaboration tools provide a host of collaboration mechanisms, but when implementing these types of solutions, you will need a game plan for rolling out a consistent workflow approach in order to gain the most advantage. For example, a webcam video feature is a powerful tool for building relationships among team-members in disparate locations. Associating a name to a face is a part of our culture and helps us to better connect with team members. However, webcam video is a bandwidth consumer and can actually impact the overall performance of the system for other functions. A workflow practice that has been found to be effective is to start your meetings with a roundtable introduction by each team-member with their webcam active. After introductions, everyone turns off their webcam. If there is a main presenter in the group, it is helpful to have that person keep the webcam active during the formal part of the presentation and then turn it off for the more interactive part. Since the multi-media feature of screen sharing is typically controlled by the meeting organizer, and can be passed from one person to the next as needed, it dictates a workflow that precludes ad hoc data sharing; and, therefore, it is less likely to consume a lot of bandwidth. The audio conference component uses very little bandwidth as well, and is usually controlled by the meeting host allowing the host to mute each individual attendee to keep the meeting flowing. For example, if a person on a speaker phone takes a cell phone call during the meeting and either puts the speaker phone on hold (with associated hold music) or just talks over it while on their cell, the host can keep this from interrupting the whole meeting by just muting the individual. Interesting, even with all of the features and benefits of collaboration technologies, the collaboration solutions marketplace has only achieved about a 30 percent penetration of knowledge workers that would benefit from such tools. The analysts have identified two key inhibitors for deeper adoption: cost and ease of use. Cost is a problem with hosted solutions because they are typically provided with a “named user” license. This means that the enterprise needs to procure a license for each user of the tool set, thus driving up costs and forcing someone to make a decision as to who can most benefit from such tools. On-premise software solutions also typically have a user license model and again drive up costs as the tools get allocated to more users. An approach that resolves this issue is to use a floating license/concurrent use approach. With this approach, the enterprise can provide tools to virtually everyone in an organization. The host licenses float among the entire user community and gets assigned in real-time on a concurrent use basis. If someone needs to host a meeting, they grab a meeting license, invite attendees by grabbing attendee licenses and this continues until all licenses are in concurrent use. The next person who wants to host a meeting has to wait until one of the active meetings is terminated. Once terminated that license becomes available to the next host etc. This approach makes maximum use of the tool in that seldom are all potential users actively holding sessions at the same time. With the “named user” approach, the license is only available to the specific user whether or not it’s being used. In summary, the use of a floating license approach fully addresses the issue of lowering the cost to drive productivity tools deeper into the organization. In addition, the integration to corporate employee databases such as LDAP and Active Directory make implementing and managing the user community very easy. This entire process represents a no cost approach to improving productivity throughout the entire enterprise. Did you know that you can conduct webinars on your own with up to 3,000 attendees? Were you aware that you can conduct such webinars for just a single one-time cost? Businesses are now increasingly looking for ways in which travel costs can be reduced while simultaneously reaching out to larger audiences in a global setting. Webinars provide the perfect solution and can be set up in just a few minutes. Furthermore, it is possible to set up a webinar without any support form IT while generating highly qualified marketing leads. With RHUB web conferencing servers, you can take advantage of the opportunity to make a presentation to literally hundreds of people from your PC or Mac. 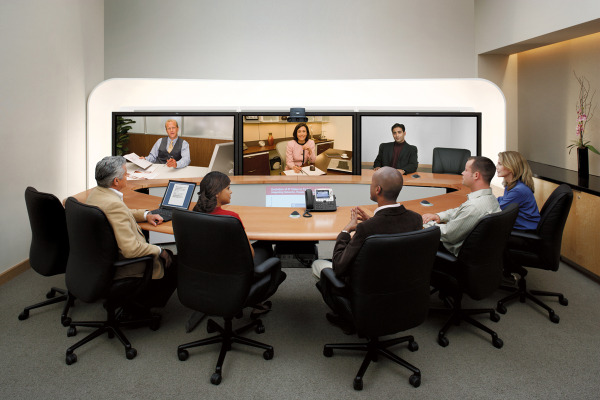 Those presentations can even be enhanced with HD video conferencing. RHUB web conferencing servers allow you to quickly and easily manage your webinars, accept registrations online, retrieve those registrations and even integrate registration on your website by simply copying and pasting sample HTML code. 1. Begin by logging into your Web Conferencing Server management using your Turbomeeting Server address. A User Registration Form with your server URL, which can be used by your attendees for registering for your webinar. Webinar Management, which can be used as an option for retrieving webinars within a specified date range. Sample Registration Page where you can create your own registration page. With the Configuration Webinar Registration, you can specify a headline for your webinar to serve as a welcome message that can be displayed to your attendees. You can also determine which fields will be required to be completed by attendees. For instance, if you want to require that attendees enter a phone number while registering for your webinar, you can do so. It is even possible to enter a customized field based on your requirements. A confirmation page following registration gives you the ability to utilize the default message, which can be edited, or you can direct attendees to your own URL after they have registered for your webinar. You also have the ability to select an option that will display all of the upcoming webinars scheduled for the next several days. This allows your attendees to see all of the upcoming webinars when they are registering. Simply click on the Submit button to configure your Webinar Registration in the way you would like it to appear to your attendees. With the Management option, you can have an opportunity to retrieve all of your webinars from a specified date range. You can also create a new webinar. This option allows you to send out invitations by email to all of your attendees. Security breaches have become so common, they are increasingly part and parcel of the day’s headlines. While not all of the breaches have common links, one thing they can have in common is poor remote access security. According to recent data releases, malicious hackers are now taking advantage of publicly available tools in order to specifically locate and identify businesses that utilize remote desktop applications. Remote desktop solutions such as Apple Remote Desktop, Microsoft’s Remote Desktop, Splashtop 2, Chrome Remote Desktop, LogMeIn, Pulseway, Join.Me, and others certainly provide a tremendous amount of efficiency and convenience when it comes to connecting to a computer via a remote location. Unfortunately, they can also serve as a gateway for hackers. Once those applications have been identified, persons with malicious intent can attempt to force the login feature of the remote desktop solution. Once the suspect has gained access to what was previously a secure access account, it is possible to deploy a point-of-sale malware. As a result, the suspects are then able to remove consumer payment data using an encrypted POST request. This dire situation has become increasingly common. Similar attacks have been seen in PoS malware campaign. Some studies now indicate that specifically targeting Remote Desktop Protocol through Bruteforce attacks is definitely on the rise. In some instances, remote desktop access connections are provided for the purpose of allowing employees to gain access to their computer while working at home or from another remote location. Other remote access connections are established to allow outsourcers and IT administrators to manage and support desktops. Whatever the case may be, it has become crucial for such remote desktop connections to be secured. Since such connections often include critical admin-level permissions that can be exploited by hackers, securing those connections is of the utmost importance. Some might argue that if an end-user is only using RDP for accessing a single desktop, there is no threat. This is not actually the case. Even in such a situation, it is possible for those credentials to be utilized for installed malware on the system. 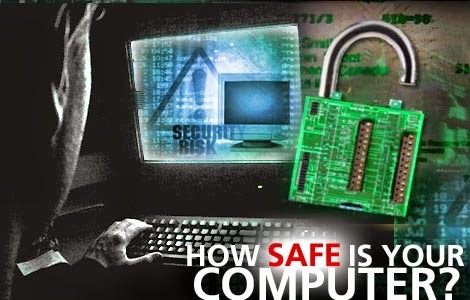 Once an individual desktop has been compromised, hackers can utilize that desktop to serve as a base for accessing other systems. Begin by configuring account lockout settings so that user accounts are locked after a specified period of time. Account lockout settings can also be configured so that the account is locked after a certain number of failed login attempts, thus preventing an unlimited number of unauthorized attempts via an automated attack such as with Bruteforce. It is also a good idea to limit the number of users who are able to log in using RDP. Firewalls, both hardware and software, should be used in order to restrict access to remote desktop listening ports. Complex password parameters should be defined. Establishing an expiration time is also an excellent way to reduce the amount of time in which an attack can successfully occur. The installation of a Remote Desktop Gateway is another way to restrict access. Administrative privileges should be limited for users and applications. Systems should be reviewed periodically for dormant and unknown users. Remote access tools should be consolidated so that all inside and external remote access can be managed and monitored. Once a central remote access solution is implemented, the need to open listening ports no longer exists. By blocking opening listening ports, such as TCP 3389, it is possible to shut off that access point for hackers. Two-factor authentication is imperative. Additionally, each individual should be issued unique login credentials. Vendors and IT teams all too frequently share logins in an effort to save money on the cost of licenses, but this serves to weaken 2FA, thus making it impossible to audit who is actually doing what on a system. Along with limiting admin privileges for applications and users, it is also a good idea to restrict when and where users are able to remotely access the system. Keep in mind that while reviewing the system for dormant and unknown users is a good first step, it is better to establish alerts for unexpected activity. For instance, you might set up an alert that will notify you when a login occurs on the weekend or overnight. Being proactive is always better than responding after the fact. With a full audit trail capture of remote access activity, it is possible to establish a warning system before real damage can be done. Security is multi-layered and it is important to recognize that no single solution will provide all of the protection that you need from a potential data breach. By locking down the initial entry pathway even further, it is possible to significantly increase your chances of keeping hackers at bay.